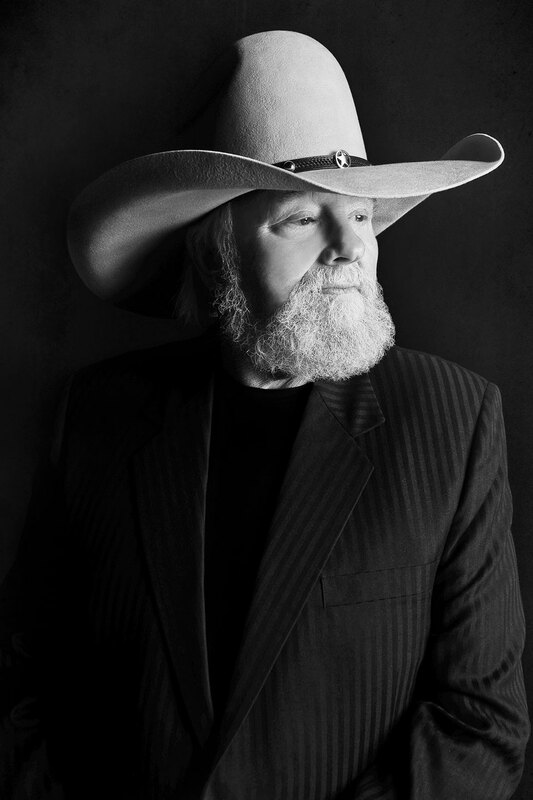 Charlie Daniels Interview: "We Have Taken All Symbolism of God and Jesus Christ Out of Society." Fiddle-playing country music icon and Grand Ole Opry member Charlie Daniels has been performing and perfecting his craft for over fifty years. His style is an exhilarating mixture of rock, country, bluegrass, blues and gospel. Daniels’ rebel anthems, “Long Haired Country Boy” and “The South’s Gonna Do It,” propelled his 1975 collection Fire on the Mountain platinum status. He won a Grammy Award in 1979 for “The Devil Went Down to Georgia” and was on the soundtrack for the hit movie Urban Cowboy. The legendary performer recently released his Christmas project, Hallelujah It’s Christmas Time Again. An avid, lifelong supporter of our military service men and women, Daniels has partnered with Buffets, Inc. for this exclusive album, with all profits to be donated to the Armed Services YMCA (ASYMCA) for Operation Outdoors, a camp program that assists the children of military personnel during deployment. The album, which features a wide range of classic and original holiday music including “I’ll Be Home for Christmas,” “Hallelujah,” as well as a special bonus track reading of Daniels’ “Carolina Christmas Carol,” will only be available at the approximately 340 restaurant locations operated by Buffet, Inc. including Old Country Buffet, Home Town Buffet, Ryan’s and Fire Mountain restaurants. Melissa Parker (Smashing Interviews Magazine): Charlie, great Christmas CD. Charlie Daniels: Well, thank you. It’s a project that the Buffet, Inc. people took on as a fundraising project. They’re donating the proceeds to the Armed Services YMCA (ASYMCA), which helps military families while the man or lady of the house is deployed. The record is $8.99, is called Hallelujah It’s Christmas Time Again and is a compilation of three other albums that we did. I’m pretty proud of it really. Charlie Daniels: We just “bluesed” it up, darlin’ (laughs). We wanted to do it a little different. The song has been done so many times, and everybody does it basically the same. Elvis did it back in 1956 or 1957 on his Christmas album. “I ah’ll have a bahlue Charistmas …” (spelling indicates Elvis’ inflection). That’s the only version that was different. Melissa Parker (Smashing Interviews Magazine): Does “A Carolina Christmas Carol” tell some actual tales from your childhood? Charlie Daniels: There are bits and pieces of autobiographical material there. Christmastime at my house was very special and it still is. It’s just kind of like how you would remember Christmas. I think everybody, especially country folks, would like to remember Christmas in that way as opposed to the assault on our sensory perceptions nowadays. Christmas has gotten to be a big, loud, multicolored bang, you know? Think of when the heart goes back to a simpler time. That’s what the story is about. It’s Christmas at grandma’s house, being with all the people you care about and the traditions. It’s back to a simpler way of life. Melissa Parker (Smashing Interviews Magazine): Do you have a houseful at Christmas? Charlie Daniels: Christmas Eve night is our celebrating time, but we also do Christmas Day. We have people come for lunch and dinner. Our church has three services on Christmas, and we catch the 3:00 service. Family and friends have been coming to our house for years, and we do usually have a houseful. We have food, drinks and fellowship. At the end of the night, I read “A Carolina Christmas Carol” and St. Luke’s version of “The Christmas Story” and usually have a prayer. I go around the room and ask everybody for comments … just ask what’s on their minds, how they’re feeling or what they’re looking forward to in the upcoming year. It’s just a tradition. I’m big on tradition. I love doing the same things year after year. Christmas Eve is my favorite day of the year. Melissa Parker (Smashing Interviews Magazine): Do you cook, Charlie? Charlie Daniels: The only thing I ever cook is our cornbread dressing. I do it Thanksgiving and Christmas. I actually can’t boil water. My wife does the cooking. I mix it up and season it to get ready for the oven. If I do say so myself, it’s really good (laughs). Melissa Parker (Smashing Interviews Magazine): And that’s good old southern cornbread dressing? Charlie Daniels: Yes ma’am. I make a pan of straight and a pan of oyster. Melissa Parker (Smashing Interviews Magazine): Sounds delicious. You released a song last month called “Take Back the USA.” Why is the country still so divided right now after another presidential election? Charlie Daniels: The very basic reason and the biggest part of our problem is that we have turned our back on our Creator. This nation was founded by Judeo-Christian principles by Judeo-Christian people. We have gotten to the point where we have gotten away from those principles. Our common law was taken from that kind of thing. Anything goes now. We’ve taken all symbolism of God and Jesus Christ out of society. We’re forbidding people to pray at ballgames just to say a simple prayer asking the Lord to protect the players. We’re just headed in that ungodly direction that leads to problems for every country that heads in that direction. Look at Russia. It’s a godless country. Look at China. China thinks they’re thriving right now, but they won’t always thrive. They’ll step over the line. Look at all the countries that have gone that route. Look at Cuba. Look at Eastern Europe. It manifests itself in the way of people wanting to be in power. This whole thing is about power. This government thing is all about power. We have a government now that wants to take our individual freedoms away from us, and I don’t mean to sound like a broken record because many people are saying the same thing, but this is the truth from my point of view. They want to run our lives for us. They don’t want us to have to make any decisions about our lives. They want to tell us what doctor and hospital we can go to, what we can and cannot have and how many taxes we should pay. They want to control our lives, our attitudes, our morals and everything else about us. That is not going to work. We’re headed real hard in that direction. Melissa Parker (Smashing Interviews Magazine): What are you saying is the solution? Charlie Daniels: I don’t know what it’s going to take to stop it. Maybe God is planning to grab us up by the rear end and shake us real good. Things are not going to get any better until we have a change of heart and a change of morals and turn this thing around. Go back in the direction of decency, human kindness and caring about each other and not be divided along racial and physical lines, making people hate others because they have accomplished things. I don’t hate Donald Trump. I’m glad he did well. I don’t hate Warren Buffet because he did well. I don’t hate Bill Gates because he did well. I don’t care how much money they have. That’s fine with me. That doesn’t make any difference. It doesn’t bother me, but it does bother many people out there. They say, “We can’t have this and that because he’s got it all.” That’s not the case. What they don’t realize is that Bill Gates, Warren Buffet and Donald Trump have gotten many jobs for people. If you give the money to the government, it goes down a black hole. With those other guys, it just replenishes because they do business. The government doesn’t make anything. They don’t manufacture anything. They don’t make any profit, so the money goes down a black hole. We never see it again, and they ask us for more. It’s that insatiable appetite for money from the government. That’s got to stop. We need to get morally straightened out here. We need to get back to God. We need to stop this fiscal insanity. We need to enforce our laws. We need to quit fighting wars that we’re not going to finish. If you’re not going to finish them, don’t start them. Don’t get involved in them. There are lots of things we need to do, and until we do them, we are going to suffer. Melissa Parker (Smashing Interviews Magazine): Some states filed a petition to secede from the union. Melissa Parker (Smashing Interviews Magazine): Do you think that will help the country? Charlie Daniels: I don’t think that’s going to happen right now. I’m not there yet. One of the things I think is a very good sign about this is people saying, “We’re mad as hell, and we’re not going to take it anymore.” If there were enough signatures on these petitions, it would be proof to the powers that be in Washington that we’re sick of them. We’re tired of them. We’re not going to put up with them anymore. We had rather actually be our own country than to put up with this the way it is right now. I think that’s the significant thing about this. I think the seriousness of it is a good thing. I hope it keeps on going. I hope it doesn’t happen, but I would very much like to see this movement gain legs and gain ground to where Washington is scared. They need to be terrified. The one thing that terrifies Washington is taking their power away from them. If anybody secedes, it takes power away from the government. They don’t want that. I’d just like to see it go further just for that reason. Melissa Parker (Smashing Interviews Magazine): It may go further with Texas as they seem to be rather serious. Charlie, let’s go back to 1967. You landed in Nashville with just a little money in your pocket. Melissa Parker (Smashing Interviews Magazine): Have you fulfilled all your hopes and dreams since that time? Charlie Daniels: Well, I don’t think you ever fulfill everything, but I just wanted to make a living for my family in Nashville at the time. I wanted to break into the recording business and be a recording musician and a writer. I wanted to be part of Nashville. I really wanted that. Come to find out that my place was not in the studio. My place is on stage. I’m not a behind the scenes guy. I’m an in front of the microphone type guy. It took me a few years to figure that out, but I did. God has blessed me with doing exactly what I wanted to do for a living. I love it. I dearly love it. It’s as much fun to me now as it ever has been. Melissa Parker (Smashing Interviews Magazine): It just sort of flowed? Charlie Daniels: It did. Once we got started on it, yeah. It kind of flowed, and I had the whole band there. We were motivating each other with bits and pieces, so it all came out. Melissa Parker (Smashing Interviews Magazine): You’ve been married for a long time. Melissa Parker (Smashing Interviews Magazine): What’s the secret? Charlie Daniels: Marry somebody that you dearly love like you feel that you can spend the rest of your life with her. If you don’t find that, don’t get married. Melissa Parker (Smashing Interviews Magazine): You’re saying that there is such a thing as a soulmate? Charlie Daniels: I’m absolutely saying there’s such a thing as a soulmate, as a partner, all of the things that go into making a marriage. There is a person out there, and if you don’t find that person, don’t get married. Just keep looking because it’s a painful thing to go through divorces especially if there are children involved. You’re better off just staying single than marrying somebody you’re not sure about. If you’re not sure, don’t marry them. Melissa Parker (Smashing Interviews Magazine): How’s your health, Charlie? Charlie Daniels: It’s good. I got a bunch of the old aches and pains of a seventy six year old. My heart’s good, and my lungs are good. All the vital stuff is good, and I keep a pretty close check on it. I’ve got arthritis, carpal tunnel and rotator cuff tears, but that just comes from years, you know? I’m doing well. What an incoherent, whiny little rant. Sure, keep blaming these “big government” fairies and any other easy complaint you can brew up, Charlie. Then maybe get out of your back-woods and see other parts of the world and really come to understand how good you and your country has it. Oh, and yes keep that solid faith in corporations…(they served your economy so exceptionally well these last few years). And of course, keep that blind faith in the Creator (easier that way isnt it…LOL), keep scratching your head that less people believe in some book written 2 millenniums ago. Bet he wishes he could have convinced the founding fathers to actually put the word “god” in the declaration of independence. Great suffering Christ…. Stymie … you obviously know nothing about the world or Charlie Daniels. But you know what? Even as ignorant as you and your comments are, Charlie would defend your right to your opinion.